Is your business providing a property related service or product? If so it’s time to reach your targeted audience with our Property CSN network. Mobilize Mail’s Property CSN network has over 40,000 and your business can reach it with our Business Blog Service. Plus your eDMs (email marketing messages) created in your Mobilize Mail email account can also be published on PropertyBlogs and socially shared with our Property Facebook, Twitter and LInkedIN group! Plus your business can reach our targeted audience on Propertytalk.com. If your business is in property services in New Zealand there is no easier way to get your business in front of a large targeted audience. Our property network has ideal candidates for your email & social marketing communication. Mobilize Mail email & social sharing solutions can grow your email list and pipeline of prospects. Mix and Match Email Marketing & Social Sharing Solutions For Your Business. With a full feature email marketing & delivery account you can select any of these marketing solutions on an ad hoc basis on deals of less than 50 percent of the standard fee…. Your business can have an insert in our property monthly newsletter. Grow your email list by leveraging off our property network. Fill your events or sell your service! 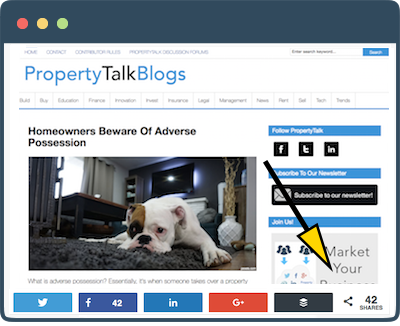 Secure a week on PropertyTalk to channel our visitors to your website! 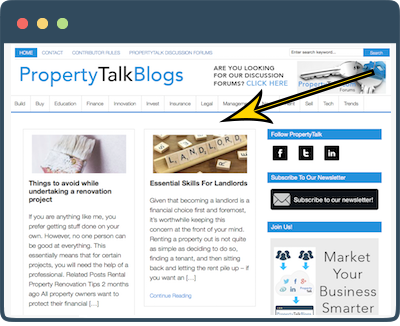 Want your articles on PropertyTalk & PropertyBlogs? Share valuable, and relevant articles to your target audience to get more prospects for your business. Click here to get your articles on PropertyTalk and PropertyBlogs. 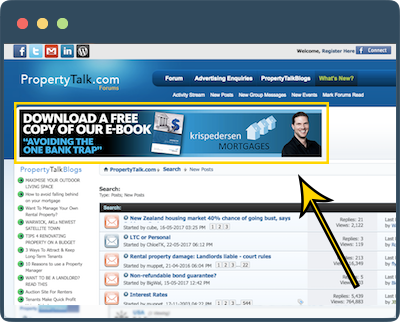 PropertyTalk.com and PropertyBlogs.co.nz are two online assets in Mobilize Mail’s CSN (content syndication network). 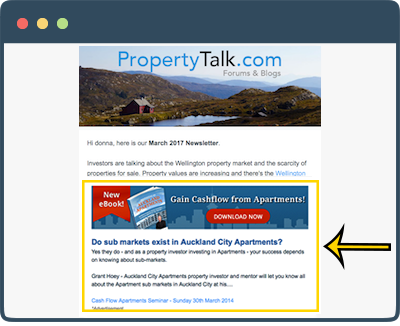 These assets have a monthly targeted New Zealand audience of over 40,000 visitors. Our property sector online assets also include active profiles in Facebook, Twitter, and LinkedIn plus email marketing lists and the visitors are only interested in property related news, views and services. We know first hand how hard it is to grow your email marketing list compliantly. It’s a struggle for many businesses to keep their email list at its current level let alone try and grow it. Contact us to get started.